Bring it on, Jack Frost! 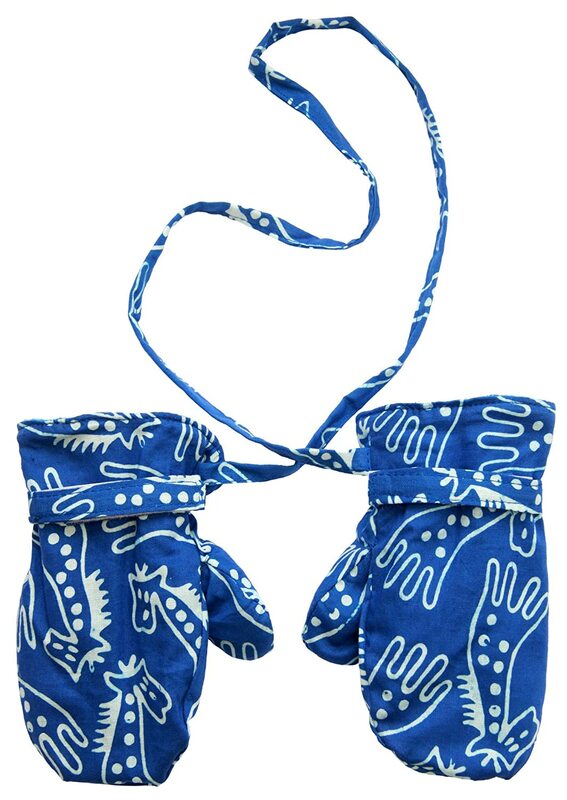 Cute and cozy, these adorable batik boys mittens for winter are just the thing to keep babies and rough-and-tumble little boys warm and snug. 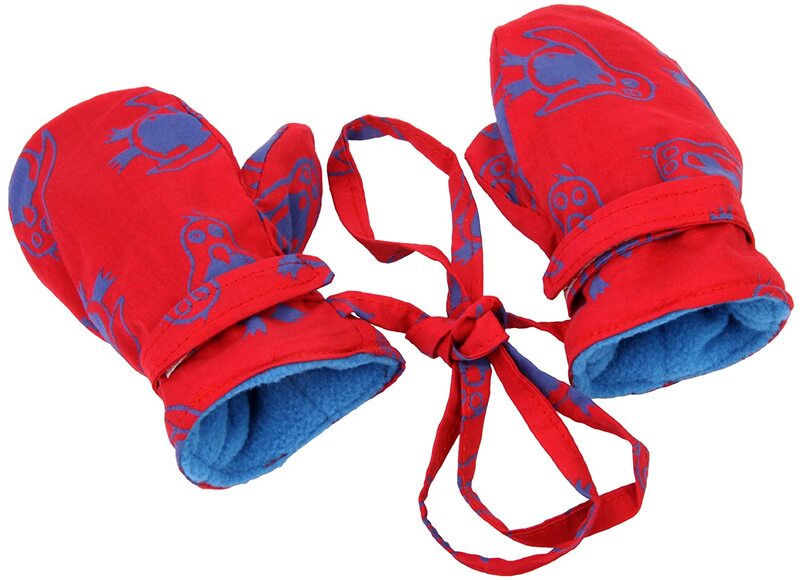 Soft, no-scratch cotton on the outside features bright and playful prints to make him smile; fleece lining inside keeps little hands warm even when the outside gets wet. 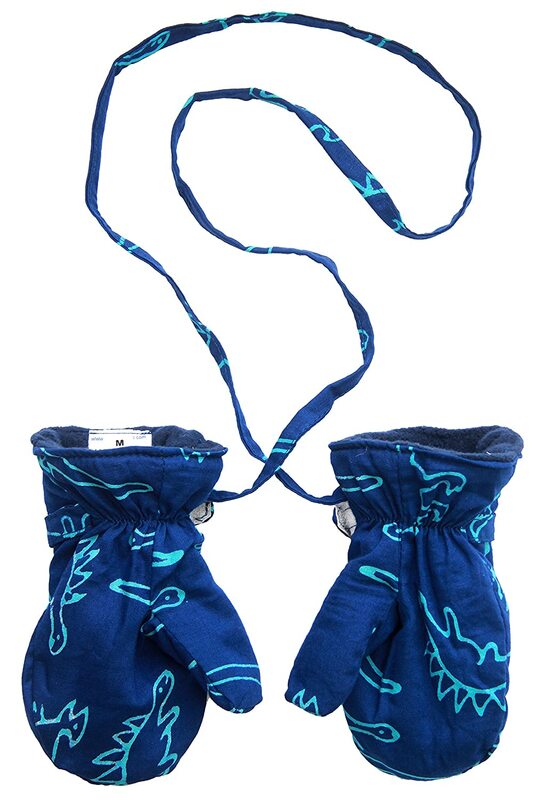 And they are designed with an attached string so they never get lost or fall in the snow. Back From Bali is dedicated to creating beautiful, quality clothing with a heart. All of our items are crafted, sewn and painted by hand in Bali, by local artists and women who own small home businesses. For over 20 years, we have nurtured fair, honest and caring relationships with our artisans and their families - so you can feel as good about wearing our products as they feel about making them. I have these in my 2 year olds jacket all the time. He wears them for about 3 hours a day at school on cold wet Seattle days. He hasn't lost them which is a real achievement and they seem to dry out quickly. He's a messy little man but washing once a week does the job. I'm not sure why but they never really look that dirty. 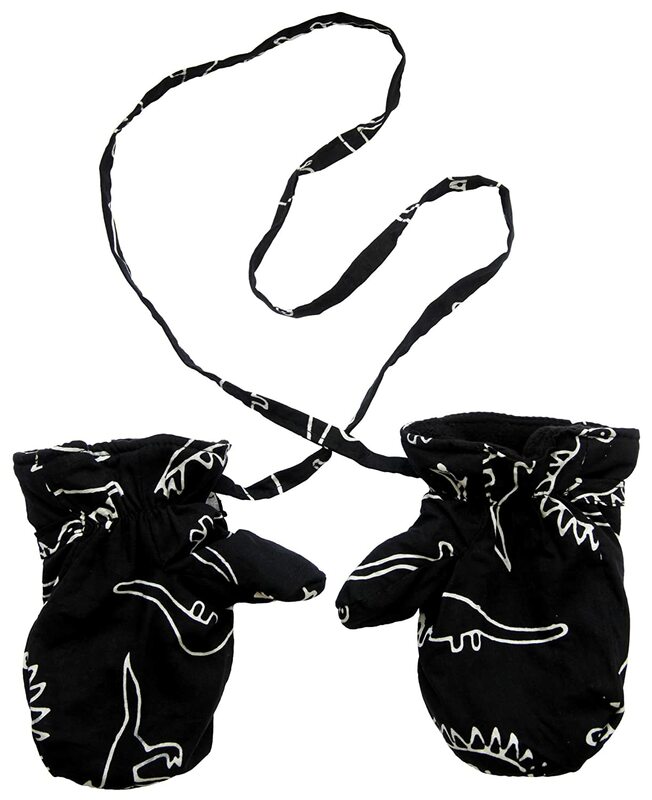 My only complaint is that he really wanted dinosaur mittens but when these arrived there was no discernible dinosaurs as you can see in the pics so he wasn't happy. They are great quality though, i would give 4.5* if I could. I'm happy that I will get through the winter of heavy use with these. 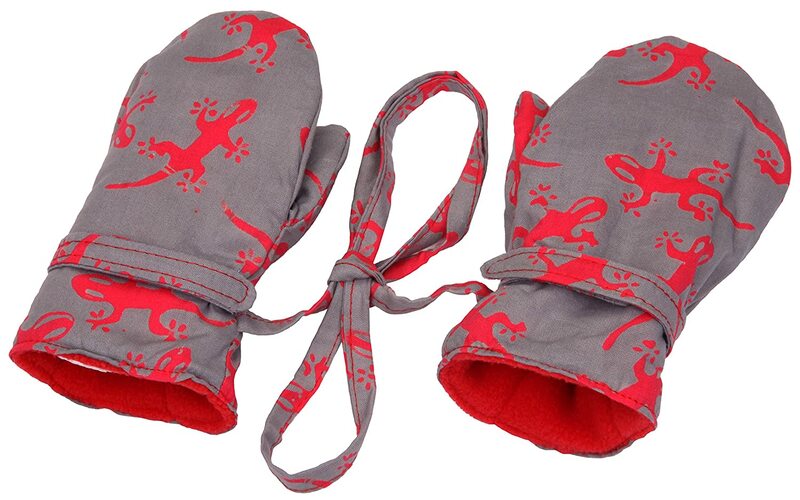 These mittens arrived right on time and in good condition. They are very warm and comfy feeling. My son has a size 3t jacket and they fit it perfectly with a few inches to spare, but in not sure how well the string will hold up. 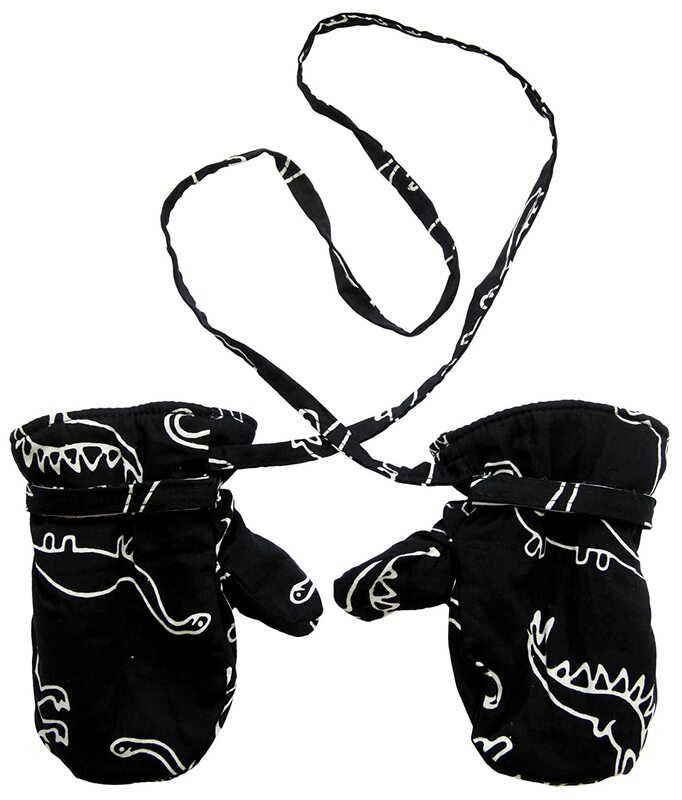 The Velcro strap is perfect for keeping them on little hands. I do feel like they run a little big but that will just help make them comfy. 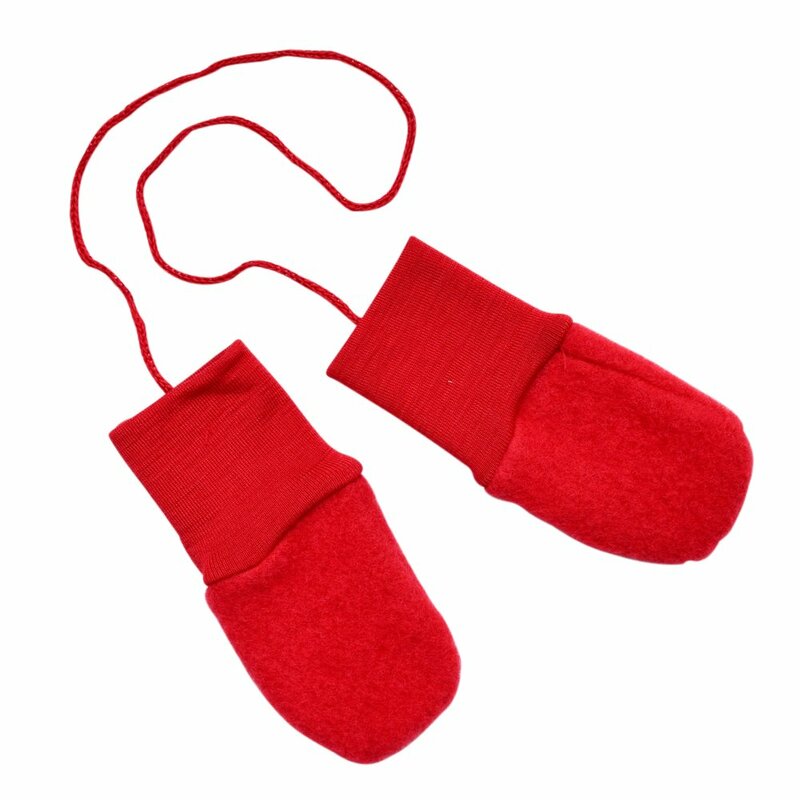 I got these mittens for my grandson. 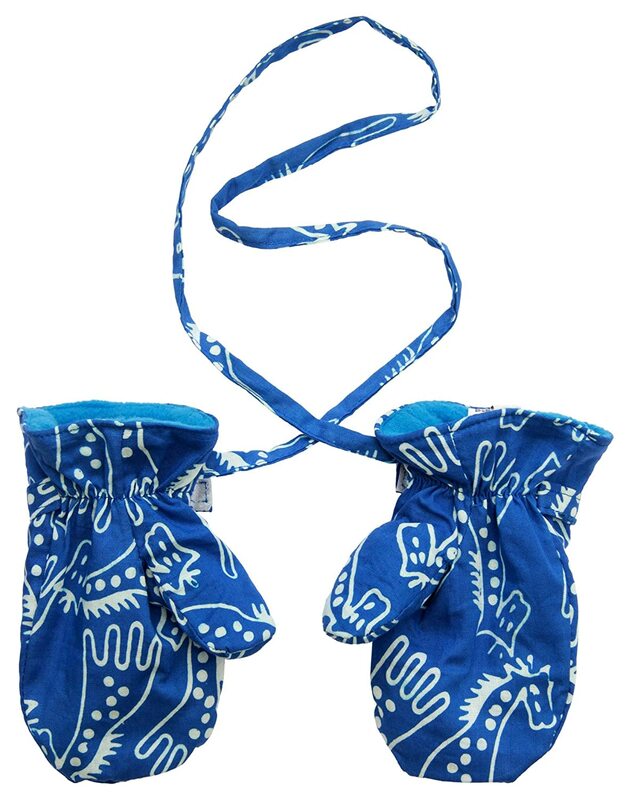 They will be used for car travel and general use, I have another pair that are water proof for snowballs. EDIT: After 2 weeks the string completely detached from teh mitten leaving a hole in the fabric. 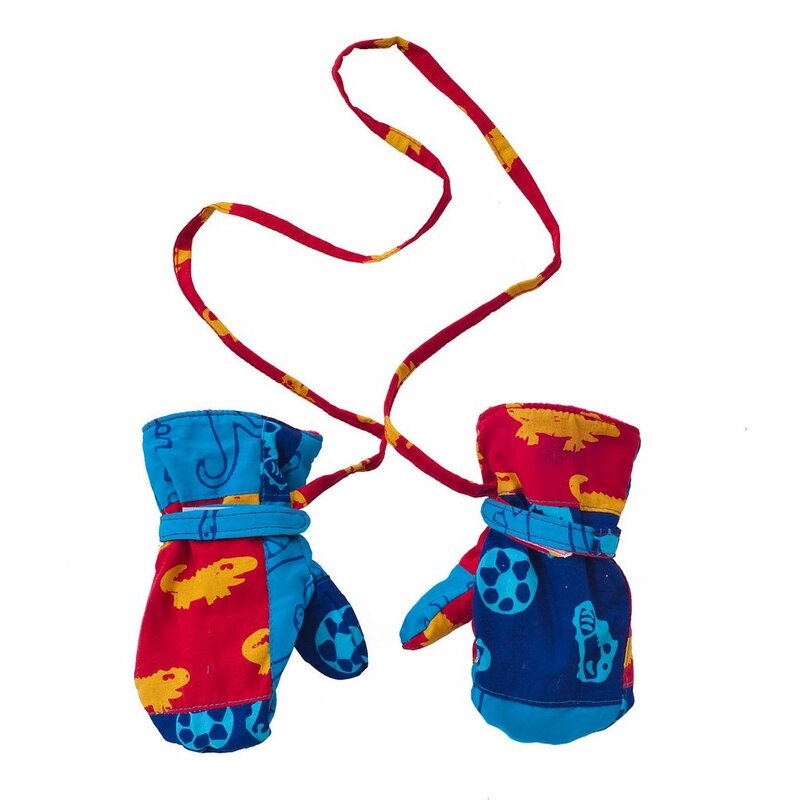 Warm, well built, velcro wrist cinches to keep snow out of the mitten for your little ones. 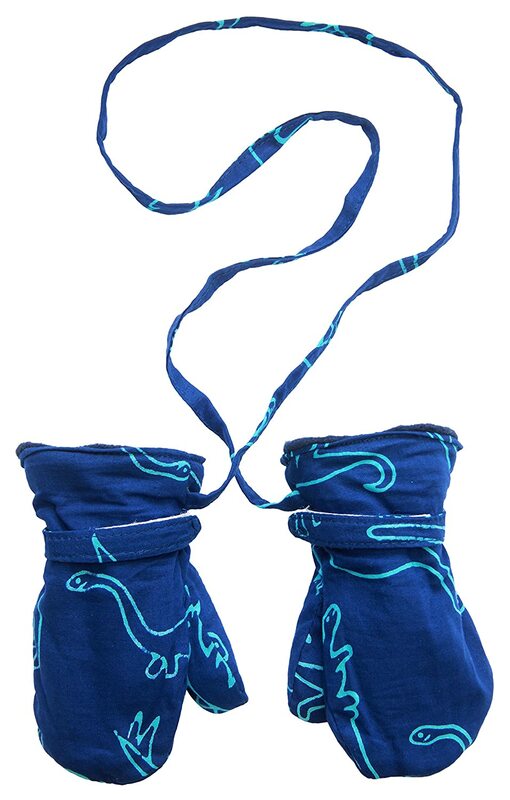 The fabric is water repellent, but not water proof. One issue: The 2T/3T size string not quite long enough for a 3T winter coat. You might have to make some manual adjustments to get these to work. Fits as expected. 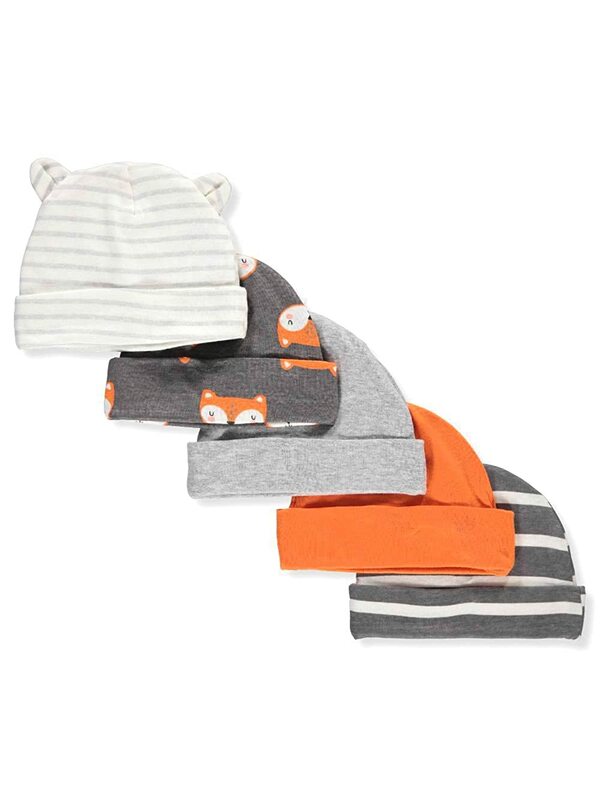 Ordered 2 pairs for a 3 year old and a 2 year old. Slightly large for both children but not too big to use. The adjustable Velcro straps for wrists help to make them a bit more secure. Nice soft fleece lining. Outer fabric will not be water resistant on cold and wet days. Overall a great product for the price. These are super cute, I love them. 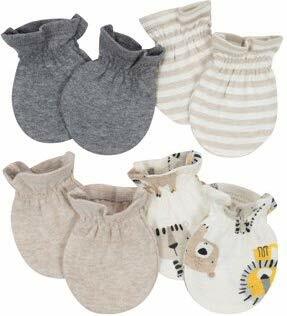 I wish they kept my sons hands a little warmer and dryer though. Definitely not for cold temps. But cute none the less. Got for my 2.5 year old. They're a little big but he loves them. My favorite thing is that they are so easy to get on and off - which is the best for a busy mom trying to get out the door with her boys in the winter.